How do you establish a strong and distinctive mission, and why should it matter? Vision, Mission and Strategy are critical to a company’s uniqueness and vital to success. We have a very simple way to think about Vision, Mission and Strategy that can help you develop a unique, compelling, and clear way to differentiate your company, inspire your employees, and guide your company forward. In this video, we define these elements and use the example of IBM to illustrate each one. Building a Smarter Planet is at the core of IBM’s brand promise. Yes, the brand platform is smart and the campaigns it inspires are compelling, but at IBM the promise runs deeper than that. 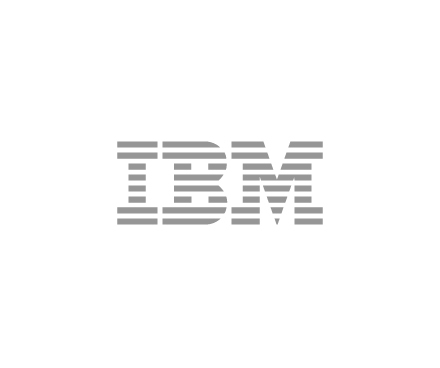 A brand promise should drive how an organization behaves, and IBM shows its commitment to “Smarter Planet” through socially responsible initiatives and partnerships. Partnerships like this show that IBM is delivering on its Smarter Planet brand promise. It goes beyond corporate objectives, advertising, and business strategies to actions that are real and meaningful. Social responsibility initiatives, when tied to a corporate brand strategy, can be a powerful differentiator in the marketplace. Corporations with a compelling brand promise can affect the behaviors not only of their employees, but of the people and communities they touch as well. By partnering with Desire2Learn and other organizations and government agencies to highlight and address the shortcomings of the educational system, IBM shows how a company’s brand promise can make a meaningful difference in the world. The University of California has recently unveiled a statewide promotional and advertising campaign, to improve awareness and appreciation of its unique and critical value to the state of California, the nation and the world. The campaign, and the ideas it promotes, are all based on a positioning strategy we developed for the University’s Office of the President, to help internal and external audiences understand the University’s true scope and commitment to the future. To counter the concerns and criticisms that have come with reduced state funding and attention-getting political controversy, we helped UC articulate a larger vision for California, and its role in the state’s future. Identifying UC as “Boldly Californian” and articulating its role as “embodying the spirit of California, and igniting the potential of its people”, we were able to focus attention on a largest idea that transcends short term concerns and puts difficult decisions in a grand context. This idea enables UC to continue to develop its role as both creation and catalyst ofCalifornia’s importance in the world. With its current investments in advertising and awareness building, we anticipate that its role in the world will be better understood, and appreciated as it adapts to new realities. The American Red Cross recently unveiled its new logo and launched a new brand identity campaign. The changes are subtle, but the message is obvious: The Red Cross is no longer just a disaster relief organization; it’s a group of local volunteers ready to make the world a better place. The revamped logo maintains the important aspects of the Red Cross’s heritage while updating it to symbolize a sense of participation, belonging, and engagement. By refreshing its identity, the American Red Cross positions itself as a grassroots organization of greater breadth. It can tell its stories of the past to a new generation eager that is eager to listen and become actively involved. This new brand identity initiative shows how the use of audience-specific messaging, and even the contextual use of a logo, can uphold the grander, more unifying ideal that the Red Cross isn’t just about disasters; it’s about reaching out to help neighbors, locally and globally, in times of need. Modernizing its image invites a whole new generation to get involved and take ownership of the organization to keep it viable and significant in the future. Making only subtle changes to the logo was wise. If the Red Cross had drastically altered its identity, it would have risked alienating current stakeholders and scaring off potential donors. Even if it had managed to avoid that catastrophe, it would still have been an immeasurable waste of brand equity.